Leigh Steinberg, Mike Silver, Doug Thornton, Bill Chachkes, and Melissa Rubin. All were part of an amazing Tout.com sponsored Buehler’s Day Off radio show on July 3rd on KXPS 1010 AM in the Palm Dessert. One that was hijacked by yours truly, Zennie Abraham, as the result of a bet I had with Ms. Buehler on who would win the NBA Finals. If the Oklahoma City Thunder won, I’d have to do all of Julie’s social media work for one month. But if the Miami Heat won, I got to be radio show guest host. The show started with Julie and I doing introductions, and I have to admit I learned a lot about hosting a radio show from her. From planning and time organization to speaking strategy and voice inflections, I can truly say that doing radio is harder than it sounds. But with all that, and the fact that I could do a lot better, I’m still happy with what turned out. For the second hour, the great sports agent legend Leigh Steinberg joined us to continue to talk about NFL head injuries and Bountygate. Here’s that podcast from the second hour of Buehler’s Day Off. For the third hour, really hour “2a” as it was a half hour, Julie and I took on the controversial subject of Dara Torres and whether she should have retired from Olympic-level swimming competition. I said no; Julie said yes. The talk about Nastia Lutkin’s face plant was more Julie explaining why it happened from her unique expert view, but the Dara Torres talk was hot. After that, we turned to learn how SMG Senior Vice President Doug Thornton saved the Mercedes Benz Superdome and how it was prepared for the upcoming Super Bowl in New Orleans. Doug deserved far more time than I was able to set aside for him, and that will happen in the future. Stay tuned for more! Thanks to Julie Buehler and the staff at KXPS Palm Dessert, California. 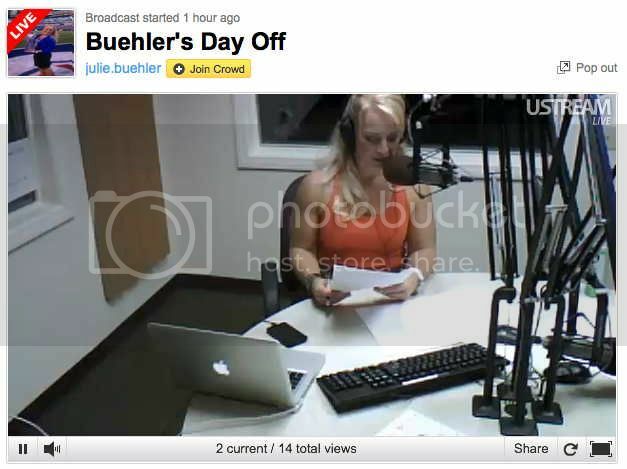 Be the first to comment on "Leigh Steinberg, Mike Silver, Doug Thornton, Bill Chackhes, Melissa Rubin: Julie “Buehler’s Day Off” Podcasts – July 3rd"